Siva Gaggara (“Siva”) has over 15 years of experience in building complex networking systems. Siva worked at Cisco Systems and Juniper Networks in the networking domain and has also had very successful stints in startups such as Procket Networks and Insieme Networks. 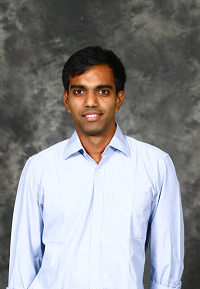 Siva is passionate about building robust and scalable software systems and leads technology delivery at GenY Labs. Siva has 10 patents to his name in the networking domain. Siva is an avid tennis player. He has a B.Tech in Computer Science from IIT Bombay and an MS in Computer Science from the Stanford University.